A frustrated young play-by-play broadcaster told me recently that his ability would shine through if only he were provided sufficient resources – statistics, biographical information on players, etc. I told him that I couldn’t disagree with him more. You’ve covered standout athletes. The great ones excel even under adverse circumstances. Talented play-by-play broadcasters do the same thing. Working high school and other games where background information is unavailable will reveal your ability as a play-by-play broadcaster. If you are going to execute an engaging broadcast, you are going to have to rely upon the two most basic fundamentals: storytelling and description. Description is self-explanatory. 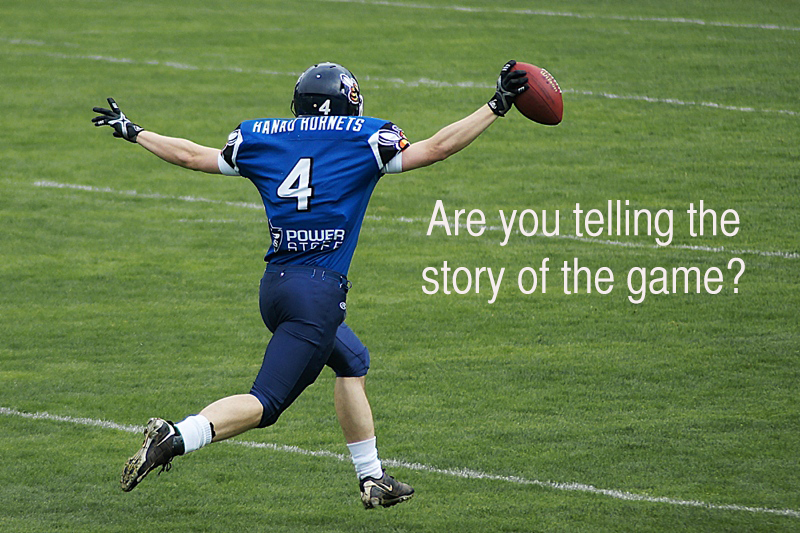 When I refer to storytelling, I don’t mean stories about the players. I mean broadcasting your game as though you are telling a story. Why does this game matter? What does it mean to your team if they win or if they lose? Is there a winning or losing streak on the line? Are they trying to crawl closer to first or to get out of the cellar? Are they trying to clinch the series? Why is this possession important? This at-bat? Are they trying to pad a lead or slice a deficit? Is a key player missing from the game? Is fatigue becoming a factor? These are all examples of the plots and subplots that you should be following in your play-by-play story. And you can do it without anyone providing you with any background or statistical information. It works for Little League games as well as it works for Major League Baseball broadcasts. You don’t have stats? Big deal. They’re easy to overuse, anyway. Not having them will keep you from potentially hurting yourself and will force you to be a better broadcaster.